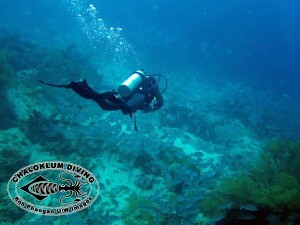 Yet another year of Koh Phangan island life is coming to an end and Chaloklum Diving Ltd. Part. is about to celebrate 20 fine years of underwater excellence in the Gulf of Thailand! Needless to say we are genuinely happy to still be here after all this time, and as well as planning to have a serious party or two we feel that it’s also the right time to make a few interesting changes at the dive centre (and beyond) – more news to follow in the forthcoming weeks…. SCUBA diving and snorkelling conditions are still good at our local dive sites as well as out at Sail Rock, but due to a lack of demand we haven’t taken our boat to the Marine Park or Koh Tao for some weeks… And the diving school the team are surprisingly busy at the moment with 3 PADI Open Water Diver courses on the go – even Michael has the chance to do some German dive training! 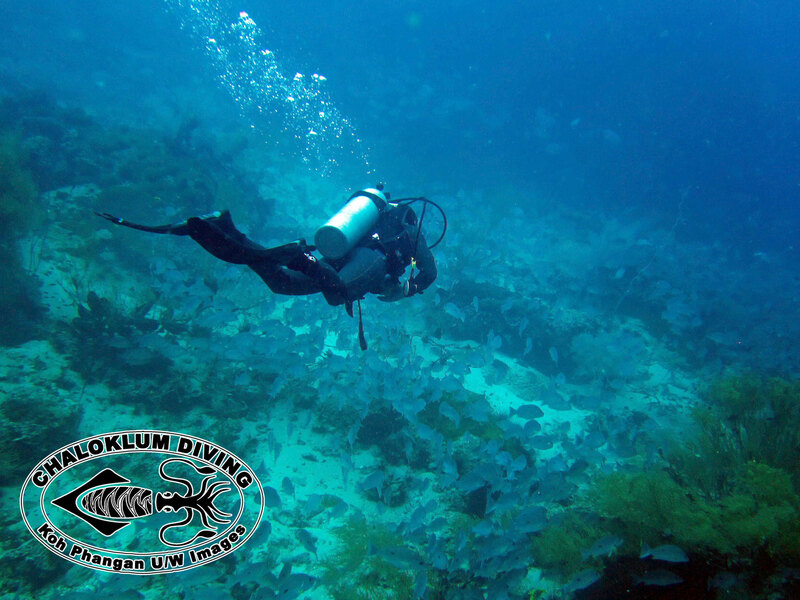 We do have a few more nice underwater images for the Koh Phangan marine life guide, but they will have to wait until the new plans for 2016 are unveiled – watch this space, y’all! Big changes? Now my curiosity is up! I miss you all very much. Hopefully I’ll have a chance to return sometime before I’m too old to dive. Hang on in there man – all will be revealed in the fullness of time! You are still fondly remembered here – do try & make it back soon.